A new NCI website, Clinical Trials Ideas, is seeking suggestions by Aug. 30 from health professionals, technical partners, patients, caregivers and advocates on how to make cancer clinical trials information more accessible to potential participants and their doctors. 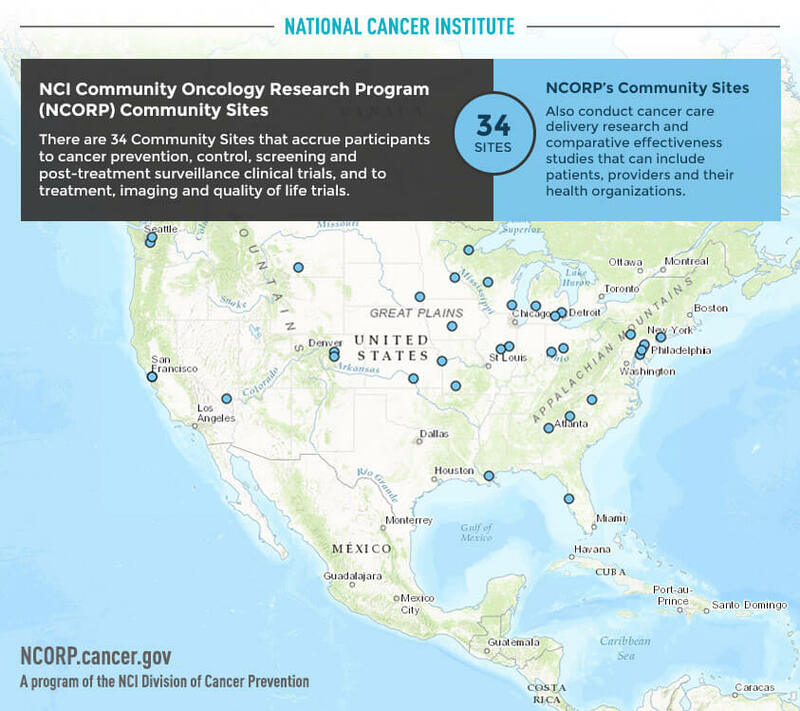 Since clinical trials are the core function of the NCI Community Oncology Research Program (NCORP), ideas from these practitioners are particularly needed. 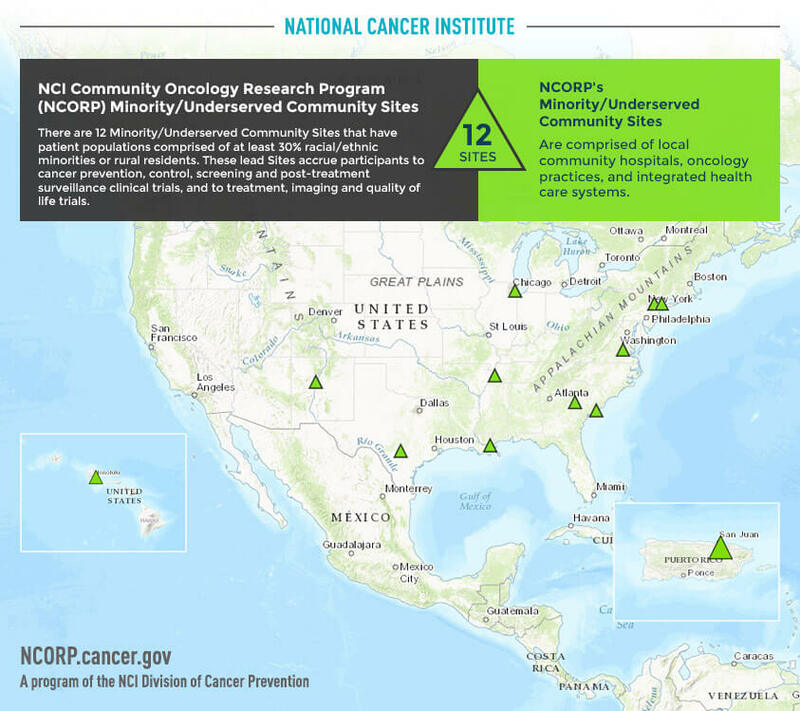 NCORP is supported by the NCI Division of Cancer Prevention, which recently published two new infographics to highlight the national reach of the program through its 12 Minority/Underserved Community Sites and 34 Community Sites. To submit ideas that could contribute to the improvement and accessibility of clinical trials information Simply visit the NCI clinical trials ideas website by the deadline.